Move and match bricks to unravel the mysteries of the ancient pyramids. "Brickshooter Egypt is frustrating at times because I find it hard to tear myself away from it. As a result, my housework is being neglected. I am a 68 year old woman and should be more disciplined. The game is quite challenging and addictive. I love it!" Move and match bricks to unravel the mysteries of ancient hieroglyphs and restore the glorious pyramids. Brickshooter Egypt is a revolutionary brain-teasing adventure across 60 captivating levels. The difficulty increases with your 2nd and 3rd replay and provides for hundreds of exciting levels in all. If the stunning Egyptian themed graphics and soundtrack don't hook you, the gameplay will. 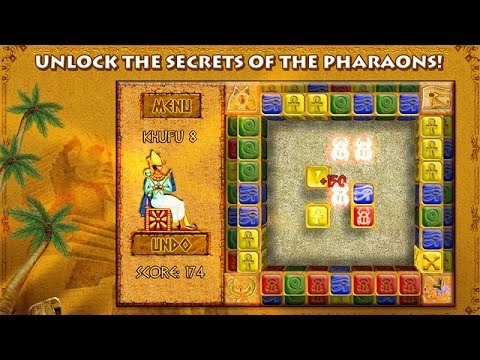 Unlock the secrets of the pharaohs today.